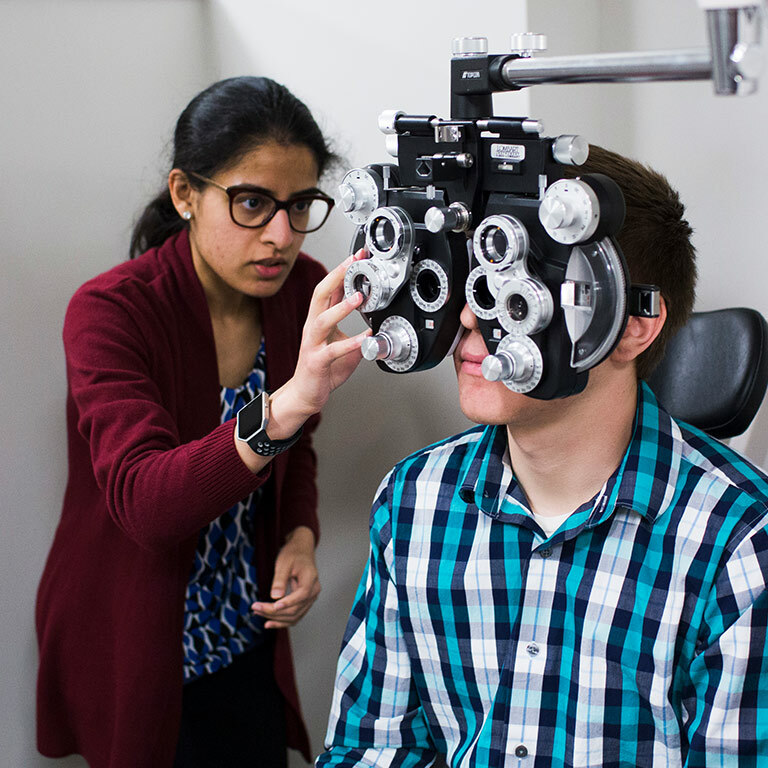 At the Indiana University School of Optometry, our academic programs, cutting-edge research, and state-of-the-art clinics advance the field and change patients’ lives. 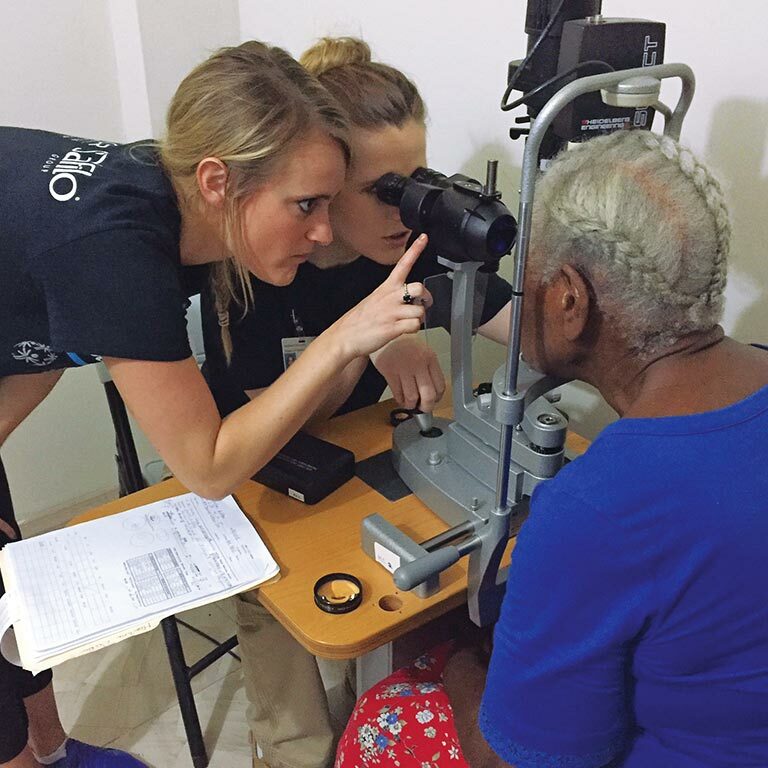 We create optometrists and researchers who improve diagnostics, develop better treatments, and serve those in need. Our optometry and vision science degree programs offer clinical and research experiences, so that no matter where you see your career going, you will have the knowledge and expertise to succeed. 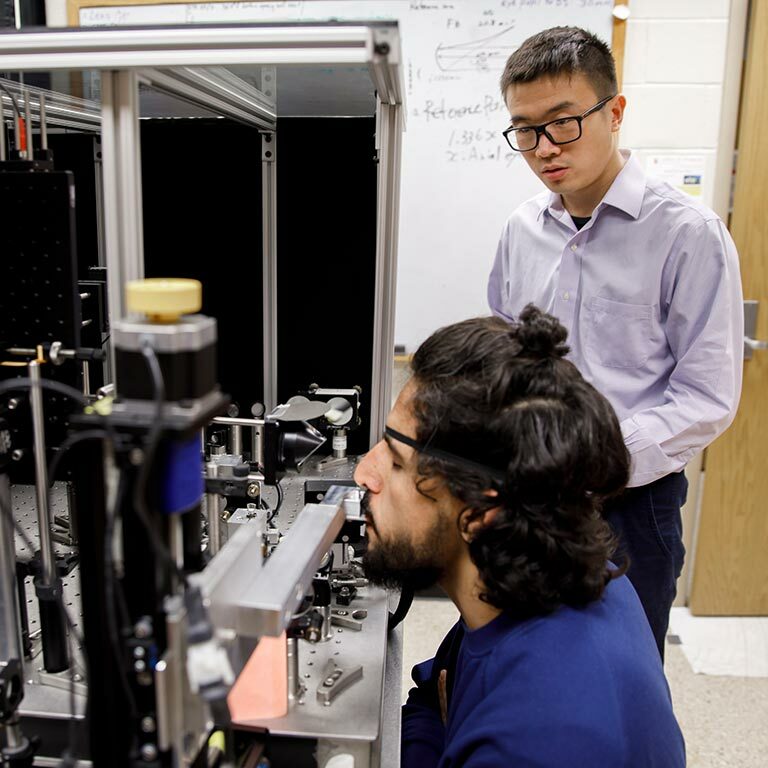 Our leading research attracts scholars and researchers from around the world, and our faculty writes the textbooks that other optometry schools teach. Our students care for patients of all kinds—from students to senior citizens to the underprivileged—to address health needs that extend well beyond their eyes. 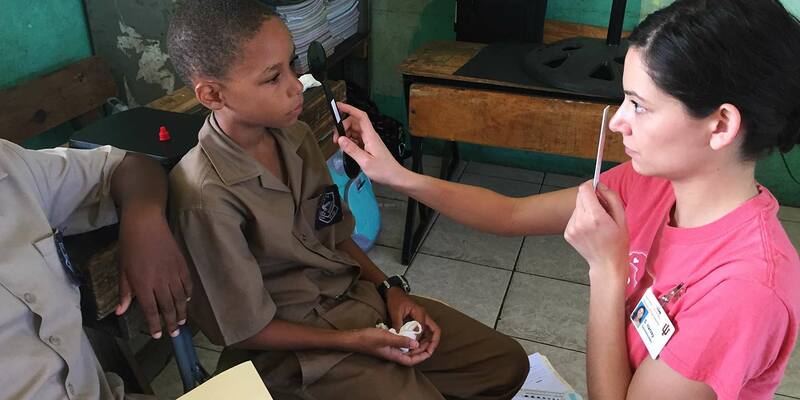 Our community outreach programs prove that we are training more than optometry students. We are building compassionate leaders with a vision for the future of eye care.